The Community Foundation for Surrey is pleased to announce the award of the first round of grants from its new Surrey Mental Health Fund. Grants are being awarded to fund charitable projects across the county which support the improvement in mental health and well-being of children and young people. The Community Foundation, a philanthropic charity which awarded £1.2 million in grant funding last year to over 300 community groups in Surrey, has launched the fund in response to a growing need relating to mental health issues amongst children and young people. This first round of grants has been allocated to innovative early intervention projects helping children and young people aged 8-13 develop emotional resilience and self-esteem. The Foundation is inviting groups in Surrey who meet the fund’s criteria to apply for our second round of funding before our next deadline of 18th April 2019. 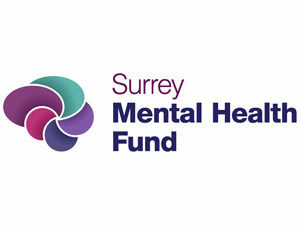 The criteria of the Mental Health Fund, and further guidance on who can apply to the Community Foundation for Surrey, can be found here. Any individual or business who might like to contribute to this new fund can do so by contacting Joe Crome at the Community Foundation for Surrey, joe@cfsurrey.org.uk, 01483 906383.